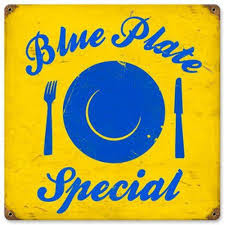 Blue Plate Special. Bring a dish to share. Eating and drinking and Democratic thinking!